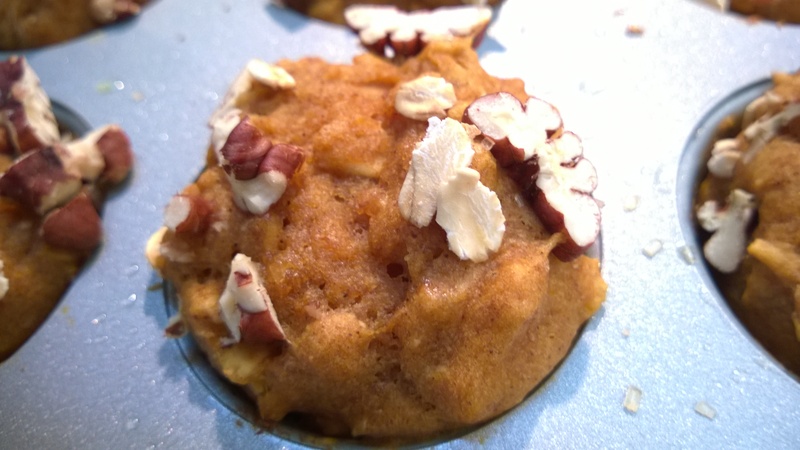 I know, I know, every food blog and website you go to right now has pumpkin recipes and here’s one more! 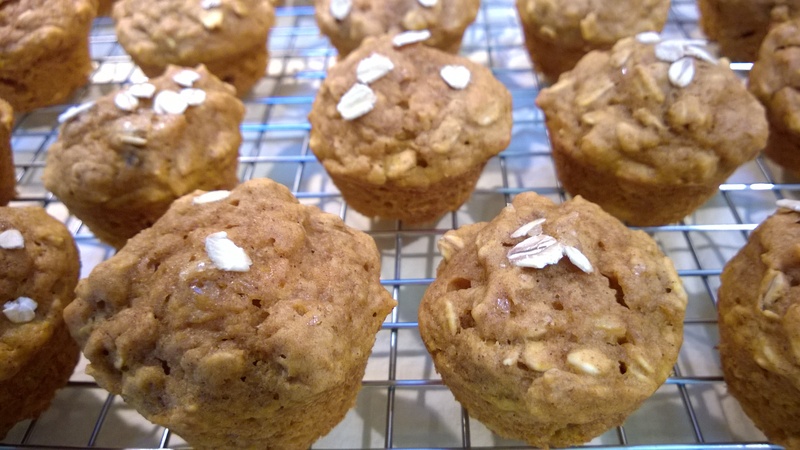 But these little muffins are a perfect and healthy treat. I bring these to my son’s class for Halloween and Thanksgiving parties and the kids devour them without getting all sugared up. These are also great for an afternoon snack. 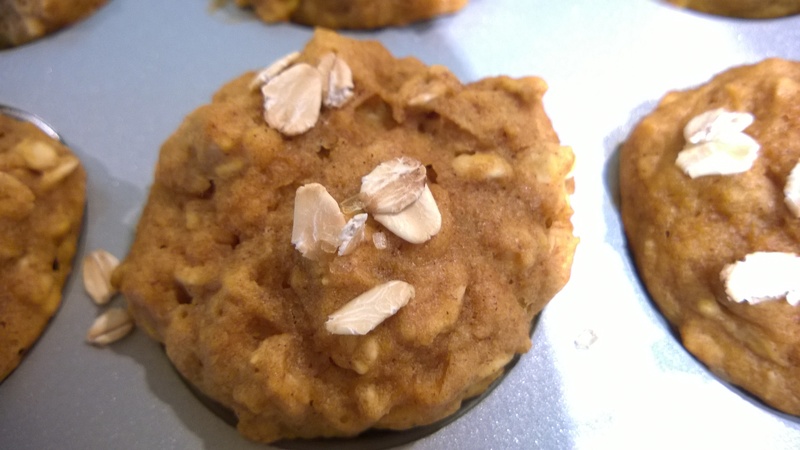 The maple syrup works perfectly with the pumpkin flavor and makes it taste just like autumn in a little bite. 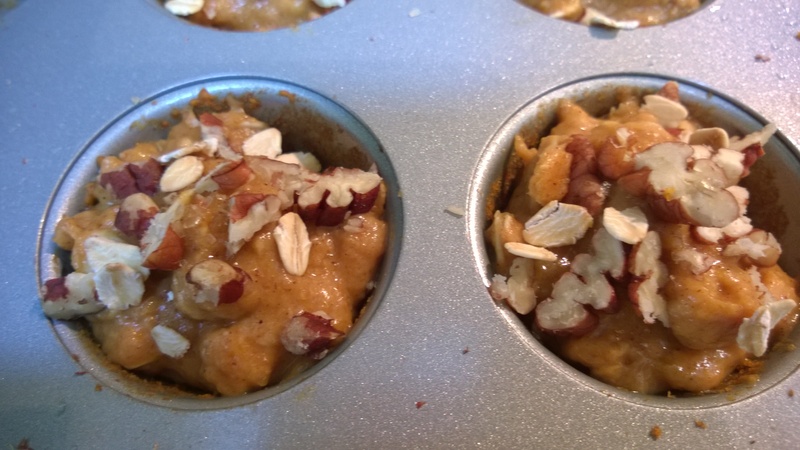 These muffins are delicious as is, or if you so desire even better with some chopped pecans. I love making these as mini muffins, but they’re just as yummy as full size muffins if you prefer. 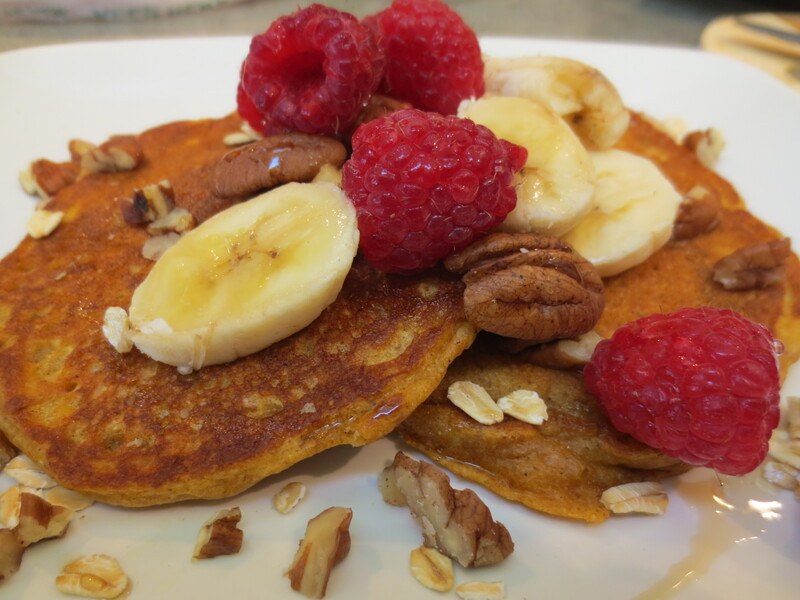 I had a spare can of pumpkin in the pantry and decided to add a little spice and pizzazz to our weekend brunch so I whipped up a batch of pumpkin & oatmeal spiced pancakes and oh are they yummy. Plus with the weather we’ve been experiencing here in the North East, I’d say it feels a lot more like late autumn than early spring anyway so why not dig in to a little healthy comfort food. With the combo of cinnamon, nutmeg and pumpkin grilling up on the stove your house is going to smell soooo good. Heat a large non stick skillet over a medium flame. 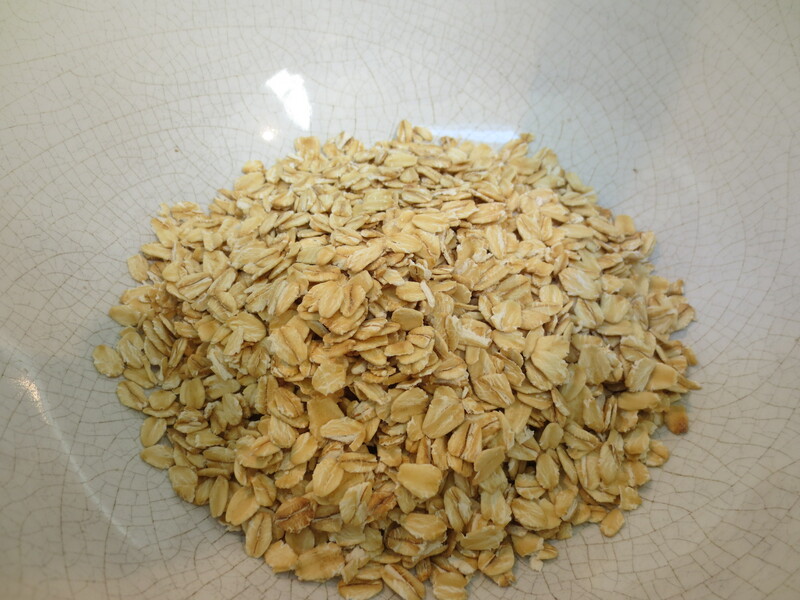 In a medium-large bowl, pour in the Oats and Buttermilk. Stir together and let rest at room temperature about 2 minutes. Add in the Egg, Pumpkin, Vanilla and Coconut Oil (or Butter). Stir to combine with the Oats and Buttermilk. In a separate smaller bowl, combine all the dry ingredients. Pour the dry ingredients into the wet and stir until just combined. Add a little extra Coconut Oil or Butter to the hot pan and swirl around to coat. Drop about ¼ cup of batter (I fill the same ½ cup measure I’ve already used and just fill it about halfway) into the pan and repeat until you run out of space. Just like cooking any pancake, as you start to see bubbles forming on top and the bottom is nicely browned it’s time to flip and cook a little more. Repeat until all the batter is used. I get about 14 pancakes with this recipe. 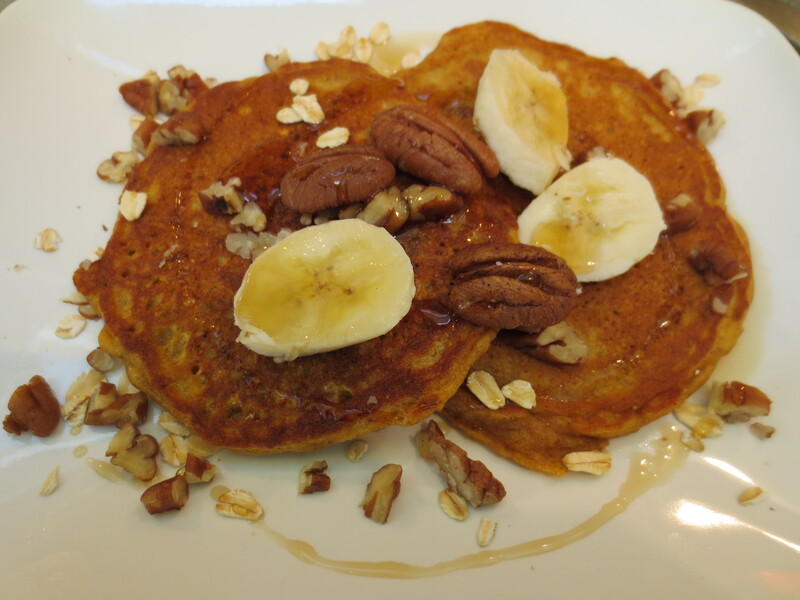 For topping: I love any pancake topped with assorted nuts and fruit and these are no different. 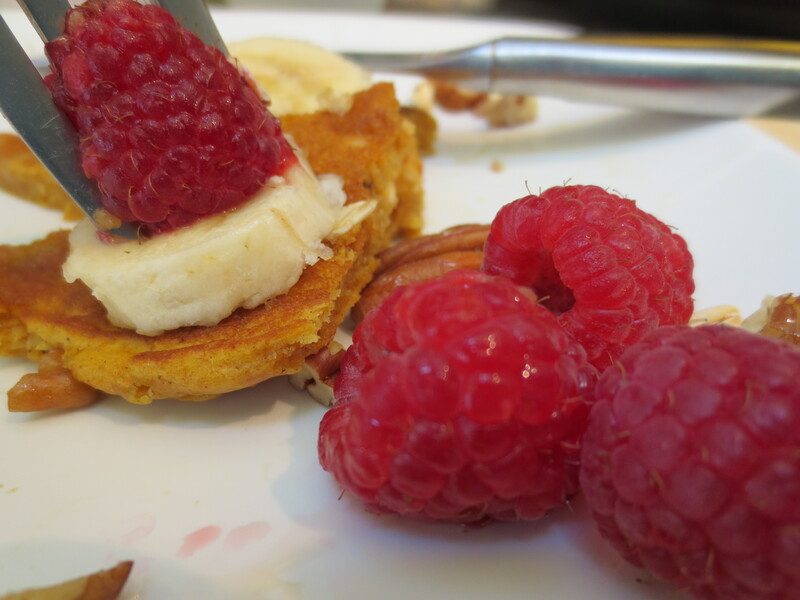 The flavors of the pumpkin, cinnamon and nutmeg pair particularly well with Pecans, Bananas and Raspberries, topped with a little bit of maple syrup and I’d say that’s as good a way to start the day as any. Enjoy! 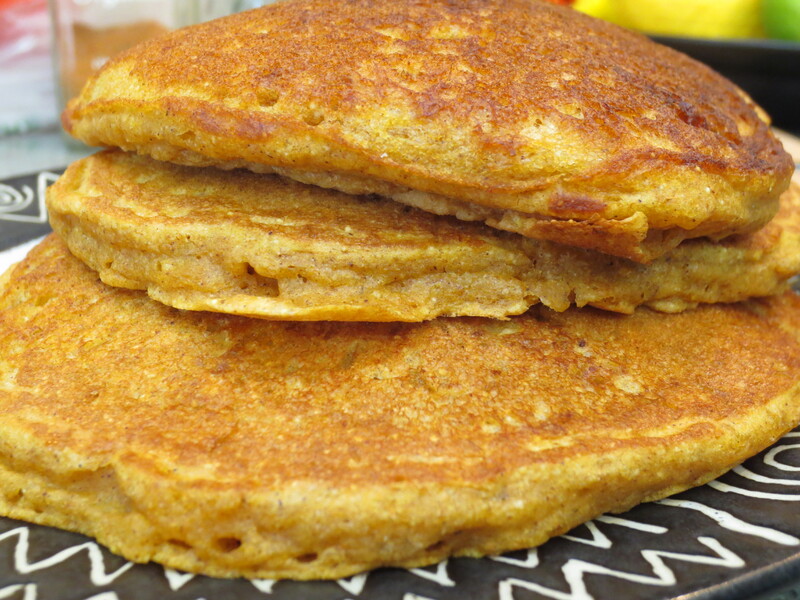 *I don’t always have buttermilk on hand, which used to be a real bummer for me whenever I wanted to make buttermilk pancakes or something of the like early on a weekend morning, but then I discovered powdered buttermilk. This was a real aaaahhh moment for me, it’s shelf stable, mixes easily with water and cooks up just as tender and tasty. So I still do buy fresh buttermilk at times, but now I always have the powdered stuff in the pantry. For this recipe, I actually mix up 3 ½ Tablespoons of buttermilk powder with 1 cup of water plus ¼ cup regular milk. 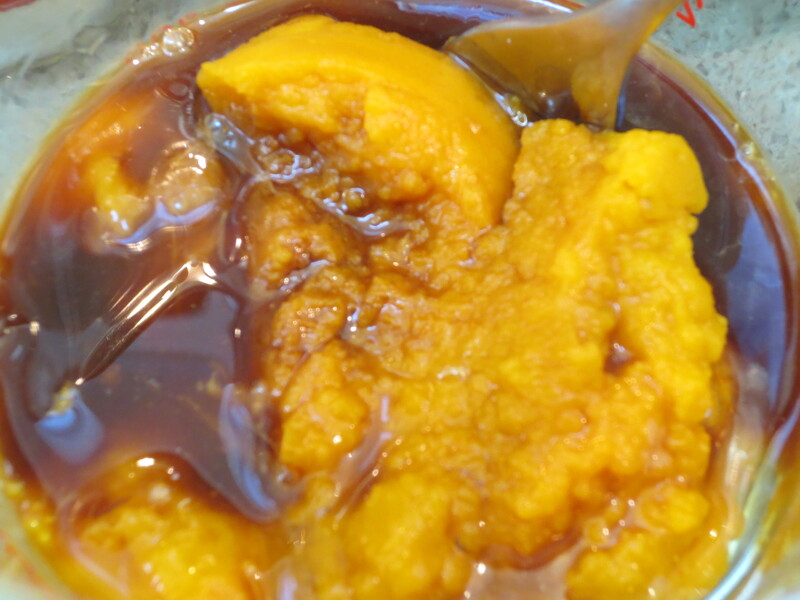 **Canned pumpkin, believe it or not this is one canned food that’s super healthy, something about the canning process increases the levels of beta carotene. If you have any leftovers (sometimes I’ll make a double batch, just for this purpose), they can be bagged and stored in the fridge then reheated, making a very quick and tasty school day breakfast. The hubby likes them as an after work snack, straight from the fridge topped with peanut butter, yum.